Running – trail, ultra, road. My best friend in high-school asked me to be on the cross country team with her. Then my mom, who stopped smoking, took up running and we started making it ‘our’ time to enjoy together. I haven’t stopped since! Do you compete on a team or for sponsors? I am on the Nike Trail Team. I am sponsored by Honey Stinger and CarboPro. 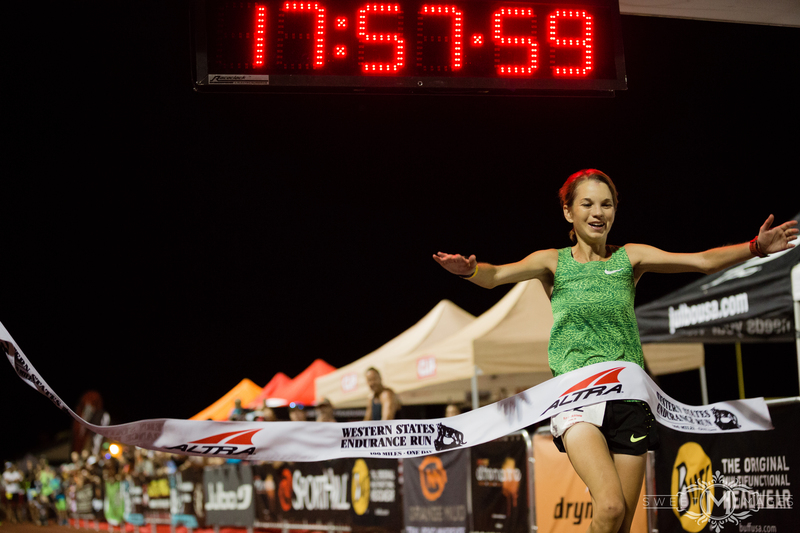 Winning the 2016 Western States 100 Mile Endurance Race. Be flexible. Your running schedule should not rule you. As long as you get the key runs in, don’t fret if it isn’t on the scheduled day. Make sure you account for life and stress. 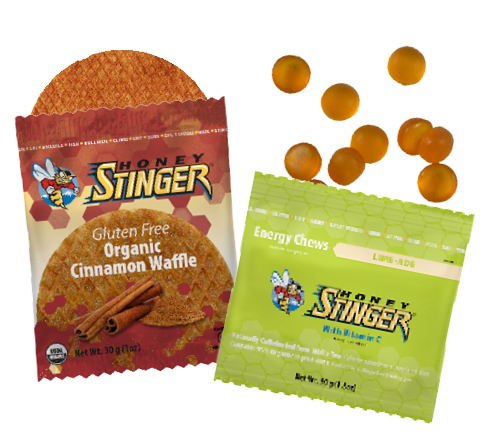 Gluten Free Cinnamon Waffle and Lime-Ade Energy Chews. I practice eating my Stinger waffles and chews during my training runs. Your stomach is a muscle, and if you don’t train it to process your fuel it won’t be efficient during your key event. On a training run with a friend, we encountered an undercover police operation. We were running down a street when suddenly all these undercover cops ran up to a house with guns cocked! We bailed off the street and took cover. It was scary! I am a huge Seinfeld fan! 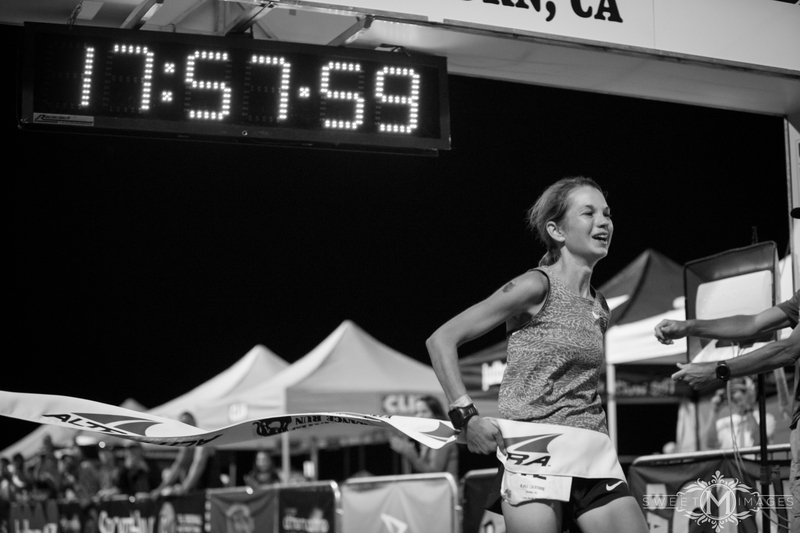 This entry was posted in Hive News and tagged CarboPro, energy chews, Gluten Free Waffle, Hardrock 100, Kaci Lickteig, Nike, Nike Trail, Seinfeld, trail running, ultra running, Western States 100. Bookmark the permalink.